The convenient and compact Lotus Mercury Double Torch Lighter bears 2 wind resistant torch flames and a handy fold-out cigar punch making it the perfect all-in-one cigar tool for on the go. Featuring an easy-to-read fuel level window, convenient flame adjustment wheel, and one-touch ignition system, the Mercury just about has it all at an awesome low price. Looking for a mid-level torch, thought I found one. It lit once and now won't even spark a flame. From what I read, I should have gone with the cheaper Cyclone instead. 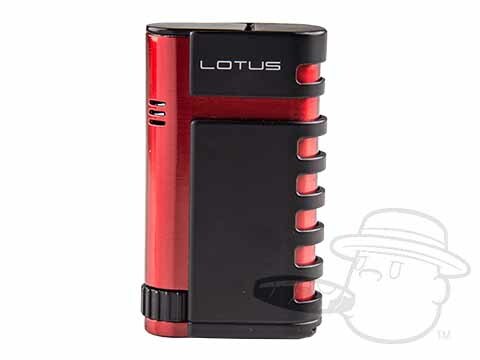 Lotus Mercury Double Torch Lighter - Red & Black is rated 3.2 out of 5 based on 1 customer ratings.